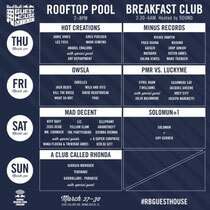 Red Bull Guest House recently announced its full Miami Music Week lineup at the Gale South Beach next week from 27-30 March 27. For the second year in a row, the Red Bull Guest House brings together innovative electronic artists from a variety of backgrounds to play in an intimate setting. 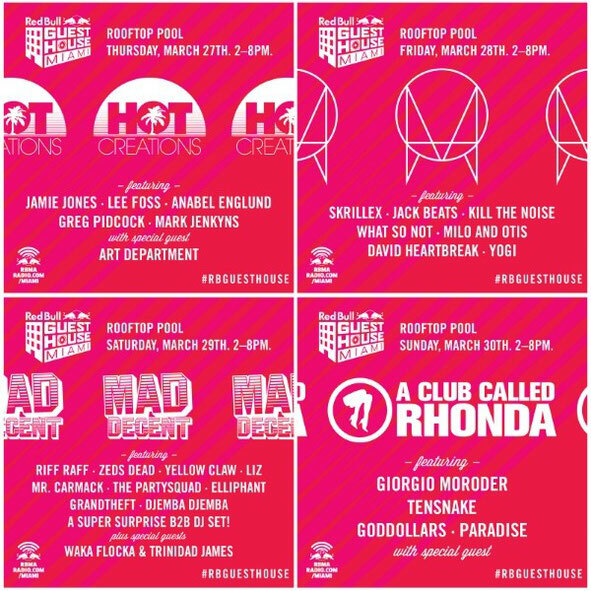 The four daily Rooftop Pool showcases will take place from 2-8 PM with curation from Hot Creations on Thursday, an OWSLA takeover with Skrillex and the gang on Friday, Mad Decent hosting their crew on Saturday with special guests Waka Flocka and Trinidad James (as well as one super surprise B2B DJ set), and A Club Called Rhonda closing out the weekend on Sunday afternoon with the legendary Giorgio Moroder. Throughout the weekend, SOUND Nightclub will be hosting the late night Breakfast Club showcases from 2:30-6 AM in the Rec Room with Minus Records, a special evening of PMR vs. LuckyMe, and Solomun with his invited +1 guest, Guy Gerber. There’s also the Traktor Cookery School taking place each day from 2-4 PM with daily menus curated and prepared by Matthew Dear, DJ Craze, Nicole Moudaber and Nick Sabine of Resident Advisor, as well as on-site partners Tokyo Swag, KC Collective / Memoir Tattoo, Frank's Chop Shop and Melisa Cuetara yoga holding it down all weekend. Fans can also tune in live to the RBMA Pop Up Studio daily on RBMA Radio from 1-9 PM throughout the event.